House Boy shown here is the work of Hilda Bernstein (1915–2006), a remarkable woman who was an accomplished artist, a significant recorder of South Africa’s liberation struggle and a political activist who was hounded by the Security Police, detained, banned repeatedly and forced to go into exile with her family. She also had to endure the uncertainty of the 1964 Rivonia Trial in which her husband, Rusty (Lionel), was appearing on a charge of treason as a co-accused with Nelson Mandela, Ahmed Kathrada, Dennis Goldberg, Walter Sisulu, Harold Wolpe and others. All expectations were that they would be given the death sentence, but Rusty was released on account of lack of evidence. A committed feminist, Bernstein, together with Ray Alexander Simons, founded the Federation of South African Women (FEDSAW) which was to become what was once described as ‘the most dynamic of women’s organisations in the history of South Africa’. Although neither women were able to attend FEDSAW’s inaugural conference on account of their being banned, they helped to draw up the Women’s Charter (the forerunner of the following year’s Freedom Charter), which not only articulated a strong feminist emphasis but also reflected on the political, social and economic conditions of the oppressed black people of South Africa. She became the first communist to be elected to public office by an all-white electorate when she won the Hillbrow seat on the Johannesburg City Council during the War years. She was an extremely effective public speaker whose words were grounded on hours of reflection and intense research. Fellow activist and friend, Helen Joseph, described Bernstein as a ‘warm-hearted communist ’who was, Joseph adds, free from the chauvinism and dogma that so often characterised communism and its adherents. She shared a cell with her and others during the detentions of the 1960 State of Emergency and mentioned Bernstein’s contribution to raising the spirit of the detainees. Joseph recognised that Bernstein’s love for her own children, Toni, Patrick, Frances and Keith, was the catalyst for her concern for the suffering of all women, black women in particular. This concern, in fact, manifested itself before she became a mother. 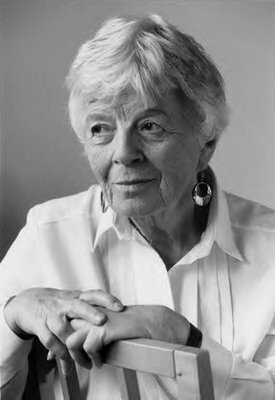 Bernstein’s political activism was driven partially by her intense desire to leap the divide between the various sections of the South African population. The Bernstein’s home in Observatory, Johannesburg, became a magnet for like-thinking South Africans of all races. The warm-heartedness that Joseph refers to is evident in this painting. House boy is one of the few oils that Bernstein executed, possibly painted in the 1960s when she took up painting classes at the University of the Witwatersrand at Rusty’s suggestion. As a communist she was a ‘listed’ person who was likely to be placed under 24-hour house arrest. The painting classes, he thought, might provide her with the opportunity to get out of the house for some hours every week. These were the first formal art classes she was to attend, although her artistic ability was evident in the advertising and newspaper cover work she produced , and in the expressive and insightful caricatures of her fellow detainees she sketched during the State of Emergency. The young man leans on what could be a broom handle in the passage of a home, perhaps eavesdropping on the conversation between his employers, a seated pot-bellied man smoking a cigar and a woman who is reading a document, perhaps about the eavesdropper. Framed as he is in the doorway he seems very vulnerable. One would like to know what it is that he is thinking under his cloth cap. The name of the painting is something of an enigma, as Bernstein strongly objected to the fact that grown men and women in service were referred to by their employers as ‘boy’ and ‘girl’. Perhaps Bernstein chose the name deliberately to emphasise the unequal relationship between master and servant. Hilda Watts was born in 1915 in London to East European parents. Her father, Simeon Schwartz, hailed from Odessa in the Ukraine. He had come to Britain to avoid the Tsar’s draft, and was quickly assimilated into London’s working-class environment (he considered himself a member of the upper working-class). Her mother, Dora, was also an East European who had come to London as a young girl, essentially as the unpaid servant to her brother and his family. She was deprived of a school education as a child but developed into a self-taught lover of the arts and admirer of Ruskin. Simeon changed his name to Samuel Watts to counteract the anti-German sentiment of the Great War period. He was a fervent supporter of the Bolsheviks and became the Union of Soviet Socialist Republic’s representative in Britain. In 1925 he was summoned to Moscow and Bernstein was not to see her father again although for some time correspondence flowed between London and Moscow. In one letter she told her father of her interest in art. When it was quite clear that Simeon was not going to return to his family, Dora decided to move to South Africa. Bernstein was 18 when she arrived in this country. She soon began to be aware of the complexities of race relations in South Africa and considered what she saw as an insult to humanity. She joined the Communist Party of South Africa and that was where she met Rusty. Despite the age gap (he was five years younger) she was attracted to his strength and vigour and the fact that they shared the same idealism. They remained devoted to each other for the rest of their lives. Following Rusty’s discharge at the Rivonia Trial he continued to be hounded by the apartheid authorities. So many of their friends and comrades were in prison or had gone into exile, and Molly Fischer, a much-loved friend, had died tragically. They, too, had to make the painful decision to leave South Africa. This they did by fleeing across the border into what was then the Bechuanaland Protectorate. Eventually they were joined by their three youngest children and their eldest, Toni, who had married Ivan Strasburg, also a political activist. Bernstein spent her time in exile working tirelessly for the African National Congress (ANC). She became a sought-after public speaker internationally. She found the time to turn to her interest in art, took formal art classes and held exhibitions. Her art found its way into many public and private collections. Her artwork was also been used in many publications for the Anti-Apartheid Movement. She and Rusty returned to South Africa in 1994 to vote in South Africa’s first democratic election. They were the recipients of honorary degrees from the University of Natal and in 2004 she was awarded the South African honour, the Luthuli Award in silver, for her ‘contribution to the attainment of gender equality and a free and democratic society’ in South Africa. The Bernsteins settled in Cape Town where both continued to write and Bernstein to pursue her art interests. Rusty died in 2002. Hilda painted and drew until her death from a heart attack in 2006. Bernstein, Hilda. 2002. A life of one’s own. Houghton [South Africa]: Jacana. Bernstein, Hilda. c. 1989. The world that was ours: the story of the Rivonia Trial. London: SA Writers. Bernstein, Rusty. c. 1999. Memory against forgetting: memoirs from a life in South African politics, 1938-1964. London: Viking. Frankel, Glenn. 1999. Rivonia’s children: three families and the price of freedom in South Africa. Johannesburg: Jonathan Ball. Joseph, Helen. 1993. Side by side: the autobiography of Helen Joseph. Parklands [South Africa]: Ad. Donker. Meredith, Martin. Fischer’s choice: a life of Bram Fischer Johannesburg: Jonathan Ball, 2002. Strasburg. Toni. 2012. Interview 11 November, Cape Town. House Boy was gifted by the artist to its previous owner.